Here at Magoosh, I’ve reviewed all the best GRE prep books over the years. Today, I’m happy to announce that I’ve made some updates to our Best GRE Books List! While not all of these books are from this year (some are far from it), the list offers my honest GRE book reviews and recommendations for the best GRE book options on the market. My goal is to keep you from sorting through the nimiety (that’s excess…a good GRE word) of bad GRE books out there. It’s 2019 and there have been some changes on the GRE prep front, mainly from ETS (the test-maker). Now, in addition to two free, computer-based GRE practice tests you can take, called PowerPrep, the test-maker offers two additional, brand-new GRE practice tests called PowerPrep PLUS. Realistic test-taking practice is vital, and these can be great new tools to help you prep for a top score—I’ll talk a little more about how in the review below. In this post, I list the best GRE prep books on the market and explain the positives and negatives of each. If you’re just interested in reading about one or two, use the links in the Table of Contents to jump to that section of the post. Without further ado, I present you with the list of the top 9 best GRE prep books/materials (in order) and three books deserving of an honorable mention (in no particular order). 2 Magoosh's Free GRE eBooks Magoosh FREE! Now that I’ve revealed my top picks, I’ll give you my honest reviews and tell you why each of these 9 books made the list. I’ll give you the pros and cons of each text, and suggest who might want to consider purchasing each book (and who can skip it). Under most reviews, clicking on each book cover will take you to Amazon.com, which generally has the lowest prices. Please note that the prices listed are subject to change. The particular prices given here are in US dollars and reflect the price of a new edition (unless otherwise noted) in January 2018. You can almost always buy a used version at a discount. Some of the books listed here are not the newest editions. Most publishers change very little content from one edition to the other. If I can save you money by recommending an old edition of a great book, then I’m going to do that! It’s everything you love about Magoosh’s GRE product, in paperback form! For the first time ever, you can now order your very own Magoosh GRE prep book on Amazon. Our GRE students and experts have collaborated to produce the most cohesive GRE guide of all time. Between the covers, this 468-page book packs more than a hundred practice questions accompanied by comprehensive explanations—all pulled directly from our renowned online GRE prep product. Not only is the book loaded with tons of useful information, but each question and answer has been triple checked by industry experts to maximize students’ learning. If you’re in the market for a GRE book, we hope you’ll take a look at GRE Prep by Magoosh! This is the holy grail of prep. If you can only buy one book, this is it. The tone of the voice may not be as friendly as the other books on the market. But if you can bear the dry content, you are getting by far the best practice since ETS writes the questions for the test. Throw in four GRE practice tests, and the best GRE book on the market gets even better. This one’s a twofer. ETS published these two new books in 2014, and boy are we glad they did (they’ve been updated for 2017). The Verbal book contains tons of new questions, written by the makers of the GRE. The strategies are nothing new (you can learn all of those from this blog), but this book is a must-buy, if only for the quality of its practice questions. The Quantitative Reasoning book, on the other hand, contains both helpful practice problems and useful new strategies. A word of warning: these new math problems are really challenging. They’ll definitely require some extra attention, and will help you up your quant game. By this point, you’ve probably noticed that ETS has a lot of products to help you prepare for the GRE. And they’re all excellent. This is great news if you have a lot of time and money to spend before the test! Of course, if you don’t, it starts to get a little confusing (and to make it more confusing, ETS has repurposed some old tests! For all the info on this, check out Magoosh’s PowerPrep article). Let’s clarify a couple things. First, there are two PowerPreps: the free version (just “PowerPrep”) and the paid versions (“PowerPrep PLUS,” two tests that cost $39.99 each). No matter what, it’s a good idea to take at least one, and preferably both, of the free PowerPrep tests before your official exam. You’ll get to work with the computer format, and you’ll see questions straight from the test-makers. If you have time, the PowerPrep PLUS tests do provide great practice—the explanations are a little brief, though it can be good practice to work out the processes on your own—but at a price. If you buy both of these exams, you’re basically paying half of what it costs to take the official GRE. At the end of the day, it can be tricky to find great GRE practice tests, so if you’re preparing over a long period of time, buying at least one PowerPrep PLUS test is a good idea. But if you have a month or less before test day? You probably don’t need to make the investment. This book is not perfect, even in its second edition. But in terms of sheer content, it is better than the Barron’s general GRE guide. Check out our review of the book here. Everything I wrote about the first edition is still true in the second; in short, this book is solid enough if you use it as a question bank, but the pacing of the tests is so off that you shouldn’t use it for its intended purpose (that is, as six practice tests). The Reading Comprehension passages are still tough and make for good practice. And while they’ve cut the Antonym and Analogy sections, the antonym questions still make for good practice (the analogies contain many ridiculous words, such as names of tools and sewing implements). *Pricing depends on how many of the books you opt to purchase. This series contains eight (mostly excellent) books written by those with years of tutoring experience. This fact really shines through in the authorial voice this series uses. You feel as though there is a highly intelligent, but fun, laid back tutor walking you through the material. These books from Vibrant Publishing—GRE Analytical Writing: Solutions to Real Essay Topics, Books 1 and 2—are a welcome addition to the GRE literature scene. Not because they’re perfect, but because they contain GRE sample essays…something few books have. They’ll help you craft a decent response to a range of GRE essay topics (that’s if you can ignore the formatting issues that occasionally occur here…again, these books are not perfect). Not required reading, but definitely helpful if you want to improve your essay score. This book is actually quite good in many respects. And in fact, the publisher of this book is so good that we recommend using Manhattan materials in many of the Magoosh GRE study plans. So why does this very large collection of Manhattan GRE practice problems only get honorable mention? The truth is that this book’s Verbal practice problems have a number of… well… problems. Unfortunately, the Verbal questions for Manhattan GRE are weak and not as GRE-like as they should be. Some light Verbal practice from this book may help you get familiar with the basic question types and formats. However, relying heavily on this book for Verbal practice will leave you ill-prepared for the real exam; ETS’s actual GRE Verbal problems are different from the ones int he Manhattan 5 lb. Book, in countless subtle-but-important ways. Quant, on the other hand, is where this book really shines. The Quant problems are spot-on to the real test. All the math questions are very well designed, aptly capturing the tone, look, feel, and range of the real GRE Quant section. The answer explanations for Quant are excellent as well! Given that the Quant half of this book is solid, think of the Manhattan 5 lb. Book as a Manhattan 2.5 lb. book for the purposes of your GRE prep. This book is generally substandard, and if after reading my review (see below), you are surprised I’m pairing it with this top 9 list, then I owe a quick explanation: the inclusion of The Princeton Review book speaks to the generally low quality of GRE prep books out there. Nonetheless, I still somewhat like this book for its helpful big-picture strategies. These strategies are mostly absent from the Official Guide (though I share similar strategies in the eBook and on the blog). That said, two major caveats: Do not use this book if you are looking for a high score. The strategies are very generic; they apply to most standardized tests, and they won’t help you understand the nuances or advanced concepts in the GRE. Secondly, do not do the questions, unless you are scoring way below 50% and are just starting off on the GRE. From this book glean some helpful strategies that you can use on actual test questions. Otherwise, this book is not of much use. There are certain GRE books that seem very accessible, in the sense that they come from major publishers, but that should be avoided. Below are two GRE books that will often pop up on bookstore shelves or in your Amazon.com recommendations. But you should not buy them, for the reasons outlined below. The 2017 Kaplan book has the same problems the book has had since 2011. Test prep strategies that are unnecessarily complex and not that innovative, followed by subpar questions. That is, these questions aren’t like what you’ll see test day in terms of difficulty or style. Don’t waste your time with this book—it manages to be both too complex and too simple at the same time. That’s no easy feat, but it does mean you should steer clear. The GRE Official Guide happens to be published by McGraw Hill. But don’t think this book is in anyway related to the actual GRE. The questions are shoddily constructed. 1) This article belongs to a series of posts designed to help you start your GRE prep. To see the other posts, download the GRE Prep App for iPhone or Android. 2) This post was originally published in February 2013 and has been annually updated for freshness, accuracy, and comprehensiveness. Thanks for giving brief about so many GRE books. Do you have any suggestion of books to prepare for the TOEFL test? We don’t have an official review of the Nova’s new GRE Math Prep book, but it’s definitely something we recommend to advanced math students. It would be great if you could help out. In most cases, there is very little variation between the different versions of test prep books. There may be some new questions or different explanations, but the basic structure and quality of the books will be the same regardless of what version you buy. There may be more differences between the Barron’s books (you should contact the publisher directly for more information), but our review should still be appropriate for any of these versions. I just checked the GRE blog after a long time and noticed the last post was for several months ago! Previously Magoosh team was posting more, at least once every other day. Has the blog address changed?? What are your thoughts on new GRE books from Powerscore? We don’t currently have any reviews for PowerScore’s GRE books and program, but I will let our content team know so that the can check it out! We do have a review for their LSAT material, which might indicate that their paragraph argument questions are pretty good. I haven’t seen their materials myself, and many of our review focus on the more ‘mainstream’ test prep companies, so I’m afraid I don’t have any more information for you. Sorry about that! That’s a really good question! I’ll double-check on that with Chris Lele and follow up with you here in the comments, SAB. I just checked in with Chris. He points out that the Manhattan GRE 5 lb. book doesn’t quite make the cut because its Verbal questions are a bit weak. But the math in that book is incredible. And for that reason, Chris says he is considering updating the article to give Manhattan 5 lb. an honorable mention. In the mean time, you can get more info on the book by reading Chris’s full review of the Manhattan 5 lb Book of GRE Practice Problems. You may have a point about McGraw Hill’s inclusion in this list. I’ll check with our editors on possible removing McGraw Hill from the honorable mention section… or at least providing some explanation as to why it’s included, similar to the extra qualifiers we added for Princeton Review, in spite of its negative rating on the main review page for it. I think that the big book of ETS old esition’s reading passages are more difficult Then new one? New GRE readings are general not very in detail like old one? Hello, I Want to get Magoosh online recourse. I dedicated my most time to vocabulary and studied Barrons 800 word Manhatans 500 essential and 500 adcance words. İs this the right time to start for GRE practice tests or should I dedicate myself to further studying the vocabulary? What’s with the Indian edition? The Indian edition is the same as the international one, printed by Mc Graw Hill, but intended to be sold only in the Indian subcontinent, i.e. India and a few of its neighboring countries. Hi there, I have a question about the numbers 3 and 4 on the list: Do they complete each other or is there a great overlap? I already have number 3; The Official GRE book. I will only take part in the quantitative section, do you think it is a good idea to also buy Official GRE Quantitative Reasoning? I am scared it will be too much like the general Official GRE book and therefore a waste of money. Looking forward to hearing what you think. Thanks in advance. There is considerable overlap between them, so you do not necessarily want to buy all of the texts. Notice that The Official Guide to the GRE Revised General Test, 2nd Edition has a newer edition (3rd edition). Would you recommend that over the 2nd? Also, given that there are so many books, which are the few materials you think I can just focus on to get the best out of it. Say just getting the The Official Guide to the GRE Revised General Test and magoosh prep? I have also checked on the study guide, but notice that they are pretty outdated (dated 2011 for the 2-3 months prep. Could you advise me on the latest study guide? Good question! The book is like the “greatest hits” of the online platform, but it contains far less than the online program does. So it would not be possible to follow an entire study plan with just the book. They are complementary, but the book form is not comprehensive. I am just starting to study for the GRE and have 4 months to prepare (I plan on studying 198-240 hours). I am trying to figure out what prep material would be best to purchase for the time I have, do you have any suggestions? Would you suggest buying the ETS Super Pack or the Manhattan Series of 8 or both? I have already bought the Magoosh GRE Prep and Barron’s GRE Essential Words. 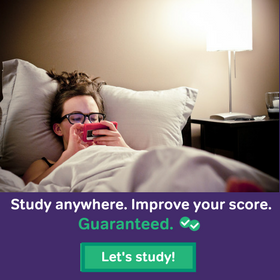 You may want to also check out our official Magoosh GRE Study Plans. Each study plan lists various recommended materials. Since you have 4 months to study, either our 3 month plans or our 6 month plans might have a good checklist of study materials that you could use in your own 4 month plan. As many books of GRE offer a wide gamut of questions on verbal but do not actually match and hone in on the level of verbal questions that appear on the actual GRE, could you kindly recommend the best books that reflect our true GRE verbal potential and thereby help in getting a higher verbal score on the actual GRE? Thanks in advance. Great question, Sandeep. As we’ve earned firsthand at Magoosh, it’s hard to find– or create– really excellent mock GRE Verbal material. But there certainly is som decent practice Verbal content out there. 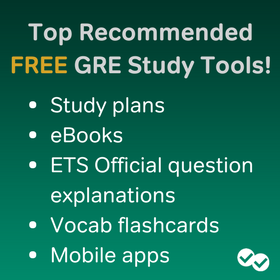 I recommend the following three resources: the official GRE books from ETS (Verbal Questions, OG), the Manhattan GRE Verbal books, and Magoosh’ own materials– our new GRE book, and our free GRE ebooks. You can find the official books, Manhattan books, and Magoosh resources all listed above. Hope this helps! Hi Chris. So, you purport to have “reviewed the all best GRE prep books over the years.” Good, because I need your help with identifying an author of a specific GRE prep book from 1996. I hope you are up for this challenge. The book was your standard large test prep book with over 200 pages. What made it unique was that it was written by someone who had been in the business for a couple decades, I believe even helping to create the tests at College Board. And the format was a lot of graphics and comics and jokes peppered throughout the instruction section, with practice tests in the back. The book was also organized by the different test sections: verbal, quantitative and analytical (multiple choice, no writing) . I know the author was male, but I cannot for the life of me remember his name or the name of the book. There were many editions, and probably even after 1996. So, do you have any idea who wrote this book or which GRE prep book I may be referring to? Thank you in advance. Oops. I meant ETS, not College Board. That book sounds really, REALLY interesting. Obviously a GRE book that old isn’t that useful today, since the GRE was a very different animal 21 years ago. But it could be useful to know the name of the book and author. If this author is still producing GRE materials today, he’s probably making some fantastic stuff. I’ve emailed Chris to see if he knows about this book or author. If he has any info, I’ll come back and post it here. In the mean time, do any of our other readers know what this book is? If so, post the info here in the comments. Hi! Any word yet on the Magoosh GRE book? When can we expect it? Thanks! An addendum: I’ve heard from Chris. Unfortunately, he’s not sure about this book either. The book was apparently before his time, before he’d even taken the GRE. He tried to research the book online or match up its description to a currently active GRE prep author, but wasn’t able to find anything. Chris agrees that this sounds like a pretty awesome book, well worth remembering. So again, if anyone else knows about this 1990s era GRE book, let us know in the comments. Hello Mr. Chris. I recently did my math tests of kaplan and got more then 85 percenile and I think that the question is a littile bit easier then I encountered at the test centre last year. I want your idea about? Besides, I got a book of manhatan and I think that their text completion and equivalency words are pretty higher level. I am confued. What should I do? I also will buy magoosh onlline resourse and whant your idea? The last question: How to improve my Verbal? I studied Barron’s 800 words. Besides, I want Manhatan’s essential and advanced flashcards and downloaded also magoosh world lis. As I understand most words are the same in all resourses I mentioned. There are about 80 percent overlapping. Do you think that learning these words is enough for verbal part of GRE ? These are all excellent questions! You were astute to recognize that the Kaplan test questions are easier than those found on the actual GRE. This is true of Kaplan materials: they provide decent practice for those who are just starting to study, but aren’t difficult enough to simulate what you will find on the actual GRE. I recommend that you look for materials that are more challenging and authentic. You can see our full review here. The Manhattan text completion and sentence equivalence questions are also not as strong as they should be. Manhattan does a great job in the math section, but the verbal section is not as strong. This is because their questions are based on difficult vocab instead of difficult sentence contexts. A few years ago, the GRE changed a lot and they started to focus more on vocabulary in context instead of just knowing the definitions of a difficult words. You may have found the Manhattan questions difficult because they focus on obscure vocabulary, and this is no longer the focus of the GRE. You can read more about this in our review. This is why learning vocabulary by itself is NOT a good strategy! You are correct that many word lists have overlapping words because the same words seem to come up on the test over and over. However, just learning the definitions won’t help you because the GRE is testing your overall reading comprehension skills. Learning words is important, but the BEST way to improve your verbal score is to read as MUCH as possible! We recommend that students read at least 30-60 minutes per day. We have tons of resources that can help you find good reading sources and strategies. Remember: your goal is to improve your overall reading comprehension skills and your ability to understand complex sentences and difficult vocabulary in context. Thanks for your help.can you tell me where I can find Magoosh GRE Book.Also,is it the same book that they referred to in Magoosh GRE prep? Happy to help. 🙂 The current edition of our main ebook– the one that’s referenced in our study schedules– can be found here: Magoosh’s Complete Guide to the GRE. Our big new Magoosh GRE eBook will be coming out soon (2017) as mentioned in this blog post. I have been preparing for the test and really thankful to the whole Magoosh team for rendering such excellent strategies for Verbal and Math section. Also your video explanations are very comprehensive and intelligible. However, is RC 99 from Aristotle prep suitable for RC in GRE? A recent test taker, who is about to attend University of Louisiana at Monroe, has recommended me this RC 99 for RC. Please help in this regard. In addition, I did not find any review about his book in Magoosh GRE Blog. I’m glad to hear that you’ve been enjoying our resources thus far! I hope that we continue to be a valuable resource in your studies. With regard to RC 99, I would actually not recommend this resource for your GRE preparations as it is actually quite different from how reading comprehension is presented in the GRE. Specifically, outside of Magoosh material, I would recommend the Official Guide (ETS) and Manhattan as other good resources for your reading comprehension practice. In addition, I would check out this post from the founder of Aristotle Prep who actually recommends that students do not use RC 99 for GRE preparation. I had a little question, though. 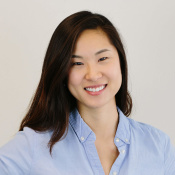 Apart from using Magoosh which is an incredible resource, I’d like to ask you whether it makes sense to scrutinize not only Manhattan’s GRE Math guides but also Manhattan’s GMAT Math guides? I have both sets. I don’t think it would hurt at all. Esp. on those sections you would want more insight into. There may be another technique you find in there that is more helpful. Personally, I’m not a fan of Manhattan’s overuse of tables–though that might work for you. I am starting to study for the GRE at the moment, and I am thinking about reading the Manhattan GRE Series (MGRE), ETS Official Guide and magooshs Free GRE eBooks. Do you have any sugestion of books to prepare for the TOEFL test? Greetings from Zimbabwe! Firstly, I want to thank you for this great website and for the advice that your generously share to many people. I have a quick question. In Zimbabwe the GRE is paper based. Do you have any recommendations on the best GRE prep books to use to prepare for the paper based test? I am particularly interested in the Practice tests as I have noted that most reviews and resources pertain to the other GRE computer adaptive tests. Your responses will be much appreciated. I had a simple question regarding the Manhattan “self-study” prep course. I was considering purchasing it along with several of the other study materials your recommended. However, I wanted to first ask if you or anyone at Magoosh has had any experience with it. It seems that most of the Manhattan material has received very positive reviews but I was wondering specifically about their computer adaptive practice test and the quality of them. After all the majority of their self-study course material can be purchased separately at a much cheaper price. As far as I could see the only things you get extra are the 6 practice tests and lecture recordings. I just wanted to know if it was worth the price or not. I’d definitely recommend the tests. They are good practice for test day. The quant is even a little bit harder, so that should make the real test seem a little easier. The verbal is not as strong, but there are some pretty decent questions. All in all, worth the investment, given that you only have to buy one of the 8 books to get access to all 6 tests. I purchased ETS: The Official Guide to the GRE 2nd Ed. because it seemed to be the best when it comes to quality of GRE questions. I also purchased Cracking the GRE because I thought it would be the best for strategies, but I’m now thinking I might return it and instead use online ebooks for good strategies. Would this be the best way to study for the GRE, or would you recommend another book for strategies? I typically only recommend PR to lower scoring students, or those who are very new test prep. The strategies in the PR aren’t that nuanced, so you would be better off relying on e-books for strategies (or even this blog). This is a great article to see which resources are helpful. I was recently talking to my friend and he told me kaplan quiz bank really helped him. He told me it is costly but it is worth it to do well on the GRE and he did pretty well. I already bought the Manhattan and have the ETS revised edition, I don’t mind putting the money towards another resource that will be helpful. Have you heard of quiz bank? Any suggestions on preparing for the verbal section? The verbal section is the section I need to practice. Thank you for posting a great article on the GREs, I know it helped narrow some of the resources I saw at B&N. As for Gruber’s do not use it: the questions are substandard to the point that it may actually hurt your performance on actual GRE questions. I would like to know if you can recommend any GRE prep course in London. My goal is to score as high as possible, so I am looking for the most effective one. We’re not familiar with the test prep scene in London, but we do know a lot about online prep. 🙂 I’d suggest either checking out our product (http://gre.magoosh.com/plans) or Manhattan’s (http://www.manhattanprep.com/GRE/). Hope that helps! The only significant sources would be MGRE 5 lbs. book and the Nova’s manual (I’d pick up the GMAT one for comb./perm. practice). This blog also has lots of stuff on these subjects, so you should practice using those (as I see you’re doing already :)). Thanks Chris! The content in Manhattan and Nova is pretty deep and insightful. Just started NOVA and liked the way they have explained each problem step by step..both books cover more than 100 problems so it doesn’t seem any GRE type problem on Probability will be untouched. 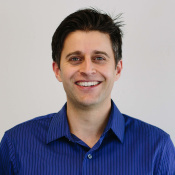 You can also look at the excellent tutorials offered by Khan Academy on the subject, which include permutations, combinations, and probability. I’ve used it extensively. Yes I have already viewed some of the views when I was googling for certain concepts and techniques. It is quite good! Thanks Aviram! IF books are available online free then what is the use for paying for the same book. also please suggest me books for gre preparation..
Do you recommend purchasing all these books? I am already signing up to take Magoosh . My comments are not making it through they still appear ” under moderation” please delete the previous comments. I recently gave my gre and scored a 308( Q 153 and V 155 ), I am looking out for your suggestions on improving my Quant score,Math seems really intimidating to me. I did all the problems from 5 lb and also from the 6 MGRE Quant books,Yet my scores in Quant refuse to improve. I think I seriously need some practice,What books would you suggest so that I can practice more and score a 160+ in Quant ? Or how do I figure out what I am making wrong ? p.s. I have a time frame of 2-3 months and I can spend 2-3 hours everyday exclusively for Quant,Verbal is not an issue for me as I am an avid follower of Magoosh and it will help me crack 160 in Verbal this time. So would you reckon I follow the 90 day advance plan ? Also do you reckon I wait for the NEW(2014) GRE Books by ETS and then give the test after I practice them? Hey Chris I am just starting to look for study materials for the GRE that I am taking at the end of the month and I am a little overwhelmed by all of the materials out there. I am going to get The Official Guide to the GRE® revised General Test, Second Edition and also sign up for the “Magoosh Premium” plan. I have limited time to study because I also have finals coming up so I want to just make sure that I am making the most of my study time. Do you think the combination of the 2 resources is my best bet? I am currently using Magoosh Prep and the ETS Original Guide for reference. I want to know what can i use for advanced Math prep in terms of harder questions. I am aiming really high (90,95th percentile) and have finished with the basic math prep already. The MGRE math questions are great. There are few scattered about in the 5 lbs. guide, and the ones on the practice tests are good too (there are a number of challenging ones in there). You might also want to check out official GMAT questions (you can find them in the 13th edition of the Official Guide). Finally, there are Nova quetions. They are based on the old GRE, but there are some tough ones in there. I have the MGRE 5lbs book and the 8 MGRE study guide besides the internet.Would that suffice to get a decent score in GRE?? BTW I am unable to make any posts as I don’t know why it does not appear even after moderation!!! It seems like your comment got through :). Sure, I think that’s plenty of resources. Though, technically speaking, I think every student should take a practice test from ETS, whether it is from the official guide or the one available online for free. Hey, can you tell me how good are gretutor.com full length tests ? So I spent about 10-15 minutes going through the verbal questions. I would not recommend anyone use these questions. The TC/SE are nothing like what you’ll see on the exam (some archaic words, more focus on really hard vocabulary vs. sentence structure–which is written in a down-to-earth colloquial tone. The GRE style is very different. I didn’t look at the RC as much. Since I ran out of my free question limit. The passages didn’t look bad, but based on my experience with TC/SE, I’m not that optimistic :). Glad I could help! I’m always looking for new material out there, whether to encourage students to use or to warn against using. Yep, we are always here to help! Good luck on the test :). Based on your review I just bought the The Official Guide to the GRE Revised General Test, 2nd Edition. I am also going to download the Magoosh GRE eBooks. Can you recommend any particular set of flash cards that I could purchase or program that I can download to my phone. I like to carry them (or my phone) around and go through them when I’m standing line, at lunch during work, etc. Sure! We actually have a great flashcard app. Just look for it on either the Apple or the Droid/Google platforms. If for some reason you can’t find it, let me know :). Good luck, and let me know if you have any questions along the way. hi, i really found this peice useful and also the testimonials from different people scoring high has further encouraged me to take the test. i have an engineering background so my maths knowledge is average but my vocabulary is zero. i have barely a month to prepare for GRE and i see you have highly reccommended Magoosh test prep and GRE official guide but as it is at the moment i cant afford both of them so i would like to know which one would be most useful especially for the verbal section and with the little time left. thanks. I”m glad the Magoosh blog has encouraged you to take the test :). For material, the Magoosh ebooks listed above are absolutely free! That way, you only need to spend money on the Official GRE Guide, something I highly recommend you buy. I was just wondering if magoosh is the right place to start your GRE prep? for GRE,but is it right place to “START” things off? difficult sources such as magoosh…. suggestion,since I am a kinda confused! Magoosh starts off very basic, go over the fundamentals. More advanced student skip much of these lesson videos and dive straight into the questions. So even if you are just starting off, Magoosh will take you from the most elementary building blocks–in both quant and verbal–and build up the most difficult. I’d say start with Magoosh and one of the books out there. I’d recommend the Manhattan series, perhaps just getting one or two books in the sections that you are struggling most in. You have been doing a great job in patiently answering each one of us. That is so generous of you. Getting to my point, I am from India where English is not the mother tongue. I plan to take GRE in May or June. I want to go to a good University for MS, which means I will have to aim for really good score. I have boon so confused with planning my preparation, books to use and how to write essays etc.. So it would be great if you can give me your suggestions….And I did take a trial subscription of Magoosh and it was great by the way.. So the Magoosh subscription should answer many of your questions. As for books, the ones I mention in this post are the ones you should use. The Magoosh ebooks, which are free, will give you a lot of structure (they are at the top of the page). After reading these, if you still confused about how to prepare, and can tell me what you are specifically confused about, I would love to help :). I find your recommendations for effective GRE preparation and reviews on books quite helpful. In your recommendation you have mentioned LSAT guides too so when you say LSAT books, which book are you actually referring to and how can I use those LSAT books for better GRE preparation. I’m ok with all types of questions in math section except the probability and combination questions, do you recoommand a specific books that teach in deep this types of questions with a lot of examples. The MGRE 5 lbs. book has quite a few of these question types. Better yet, there are about 20+ combination/permutations/probability questions floating around the Magoosh blog. Some are easy, some are very, very difficult. If you want to study probability and combinatorics deeply then William Feller’s Probability theory and its application is the best book. I’ve been using a combination of ETS, Magoosh and the Manhattan Prep stuff, as suggested on here, and I have to say, I agree completely. I recently tried the Princeton practice questions online and they were awful, whilst I was scoring in the 160s on the Manhattan/ETS practice ones, suddenly after a Princeton I was on 152, after going back over them realizing some of the questions in the free practice tests were wrong! All credit to Magoosh, ETS and Manhattan if I get a good score! Stay away from Princeton! Thanks for sharing, Stu. I agree. Basically, TPR should only be used by students who are scoring really low in math and need a refresher. But if they are serious about breaking 145, then they need to use other prep material. Good luck on your test :)! Ended up getting a 166 (700) for the verbal, 162 (775) for the quantitative and 6.0 for the essays! Cheers for your help dude! Would definitely recommend the advice on here to anyone. The e books are simply great.This is a brilliant web site. I like it a lot. Thanks for all the help! Its been a while since I purchased the Magoosh GRE (Verbal) subscription, but could not get time to prepare at all. Now, that I am willing to start my preparations, I would like to ask about what books are best for the Verbal section. I have not currently purchased any of the book and is bit confused about what books should I refer to for my verbal preparations. I have one and half months to prepare for the Verbal section and can devote around 6-7 hours (or may be more) a day for my preparation. I need to score atleast 165 in the verbal section. Also, the Barron’s GRE 20th Edition (released on June 1, 2013, available on Amazon.com) is out, what are your reviews about this new edition? Should I consider purchasing Barron’s? Please provide the final list of all the books I should consider purchasing for my preparations. For verbal prep, in addition to Magoosh, definitely use the GRE Official Guide, as well as the two practice tests. For tough verbal content, I’d recommend using the GMAT Official Guide, for both the Critical Reasoning questions and the Reading Comp. You should also pick up an LSAT book with official tests. All this material should be more than adequate to help you nail the 165. As for the Barron’s 20th edition, it is no different than the 19th edition. At most, they typically just clean up a typo or two. I do have a question at the end of this (You can skip to it if the review section is too long:-)). But I thought I should share my experience with GRE prep. Since I tried a bit of many things, I hope this helps someone looking for a prep combination ideal to their stituation. I am giving my GRE in another 3 weeks. I studied for about 5 months and combined all the well-known prep-courses (except Manhattan). I also took a power prep test last week. Here’s a brief idea of what I feel about the courses. I must also add (being a computer science engineer), I am pretty well-versed at Math and I only needed lessons on advanced Math concepts and some practice. Princeton – Too basic. Especially the Math. Good for recapitulating the very basics, but way too much stress on it. Verbal is better but still lacks challenging content and GRE specific practice. Kaplan – Much better than princeton. Very good online quiz bank (especially quant). Has slightly tougher verbal but still lags behind in giving real test-like questions, especially in text completion and sentence equivalence. Barrons – The book isn’t too bad. Amazing online content though. Especially for verbal. Test-like TC and SE questions and tough RC questions as well. However, based on the power prep test, it looks like barron’s focuses more on abstract analysis of the passage rather than objective and astute analysis of its structure and content. They have great full practice tests too. Magoosh (Have only been through the trail version) – Nice questions. Tough Math and challenging verbal questions. I must favor Barron’s just for SE and TC though since they are more test like. But the few RC questions that I did were very good and power-prep-like. Basically, the RC questions look like they would be perfect practice for the GRE. I feel pretty confident about Quant reasoning (Generally have scored 167-170 on all practice tests). I’ve made big strides in verbal too,from an average 150 (princeton free online test) to 165 in power prep (though I feel luck had something to do with this as well). The TC and SE questions on power prep were a big shock to me since they were nothing like the ones I had practiced in any prep course (except Barron’s). RC was a surprise too but a pleasant one because it was very well structured and the questions were based on logic. Needless to say, I fared well in RC (19 out of 20) and fell behind in TC and SE. I need some finishing touches on Verbal. I will probably take the online verbal-only course from Magoosh for some more reading comprehension practice. But I need some advice on where I can get some real GRE-like questions on text completion and sentence equivalence. Barron’s has some good questions but I am running out of them. 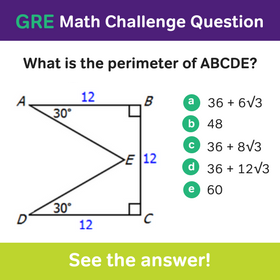 Thank you for sharing your insights on GRE prep material. It is always good to hear from a student who has spent much time assiduously reviewing the content :). So in answer to your question: Definitely use the MGRE practice tests. Their verbal questions, especially the Text Completions and the Sentence Equivalence are very tough. I don’t think they are very “Power Prep-y”, as they sometimes employ obscure vocabulary (but to a much lesser degree than the SE/TC guide). Oftentimes, the sentence structure is so convoluted as to be contrived…but those quibbles aside, the MRE TC/SE are solid. I’d also recommend giving Magoosh TC/SE a second look. To experiment, I just signed up for a free trial and got five practice questions, most of which weren’t necessarily amongst are better questions/”Power Prep-y”. (Our most difficult question, in which fewer 10% of test takers answered correctly, also showed up — no Power Prep question is that tough. Hence not a very “Power Prep-y” question). Of course if, after you peruse our questions more, you still feel we are below the mark, let me know. I’d greatly appreciate your keen feedback :). That said, there really isn’t much else out there. Sure, there is veritable raft of GRE verbal questions but most, as far as the TC/SE are concerned, are not even up to Kaplan standards. I have read almost all the reviews about GRE prep materials but now I am confuse. I am good in maths but verbal section is my weakness. Since I do have sufficient time in hand, I want to do my best to get 330+. Can you please suggest me some good materials for verbal section? I don’t know how to start with it and in what order. It may sound a dumb question to you 🙁 , but I will appreciate your help. Based on the reviews I have made following plan but I think I will have to add some more to it. For math, the list you have is excellent. For verbal, I’d include the Manhattan practice tests, which, generally speaking, have a higher question quality verbal-wise than do the books (the MGRE books are great for guidance, though sometimes the questions are lacking). That should really do the trick. Of course, we can revisit this list, if, after significant practice, you don’t feel you are edging toward your goal. The Official Guide by ETS (they write the test) provides questions that are up to standards :). There is quite a lot of verbal content spread over the book and the two Powerprep tests. Offhand, I’d say there are over 250 verbal questions written by ETS for the revised GRE. I’m preparing for the GRE now, and I’m studying (math ) from Kaplan, barrons, Magoosh, princeton, and Manhattan. I can say that the best are Manhattan, Maggosh, and princeton. Manhattan have some difficult questions that discouraged me. Kaplan and barrons have easy questions not that difficult and far away from the real test. Thanks for your input! With that potent cocktail of prep resources, you should do well! I’ll be attending grad school in the fall and will need to have the GRE exam done in 3 months. its been 8 years since i completed my BA and i am a bit rusty . I would describe myself as above average in Math but on the verbal i may need some help. English is not my first language but I’ve lived in the US for almost 15 years. i am trying to have all basis covered in my prep and i am confused with all the prep books out there. I do see that the Manhattan GRE is very good but lacks good practice problems and the verbal can be intimidating but good correct? i also the Magoosh GRE is a favorite of course and i don’t mind doing that but they both come with a price ! would this be a good plan? i had two friends recommend the Kaplan but i am not reading great reviews as the MGRE. Going with either MGRE or Magoosh will be a good plan. Even without extra supplementary material that should be fine. However, I still encourage getting the ETS Official Guide. It’s a must! As for Kaplan, I’m not a big fan–though I’ve heard their online stuff is better than their book stuff. I need to write the GRE within the next three months and would be interested in getting the highest scores possible within the range of 750-800 for quantitative and 650-750 for verbal. I know you don’t know my level in those 2 areas now and I must say I am kinda ‘match rusty’ having not written online tests in a while. I am better in quantitative than verbal and i would really appreciate a systematic guide to ace the test and the required resources. I am not too worried about the cost of the required books for the test. Actually, the test has changed a lot — it is no longer out of 1600. Instead, it is out of 340, 170 for the math and 170 for verbal. While the test is different, scoring well is still a priority for most. A great way to do so is by reading our ebooks, which will familiarize you with the test: the format, the best study resources, and the best ways to go about studying. When you mention MGRE guides, is that the Manhattan prep you are talking about? Or does the M stand for Magoosh? Tangentially, if I did the Magoosh online courses, would that alone be sufficient to give me a good score on the GREs? Thank you again so much, Chris! Those are all good questions! I think I’d choose Barron’s over PR just because you get more questions, questions that are similar in difficulty to those you’ll see test day. The Magoosh courses definitely would be sufficient. Our lesson videos (they describe all the math fundamentals you need to know for the GRE) are more comprehensive than either Barron’s or TPR. We have about 500 math questions, which is definitely more than Princeton Review. Probably more than Barron’s book, but I’d have to count. Finally, in regards to your first question, the ‘M’ in MGRE stands for Manhattan. Good luck, and let me know what you decide to do :)! Thanks for this blog! Just a quick question — in the article above, you say that the PR general review deserves a somewhat honorable mention bc it is better than many of the other material out there, but when I read your book reviews, it seems you give the Barron’s a generally better score yet you don’t mention it in this list — could I know which book would you recommend I invest in if I only had enough money for one? And in addition, do you know whether there is much difference between the Barron’s 19th edition (which you reviewed) and the newer 20th edition? I only have the 19th edition, but typically–which I guess means almost always–the follow-up guides are the exact same as the previous years. Back during the old GRE, the PR and Barron’s 1999 GRE guides were no different from 2007 ones. That doesn’t mean Barron’s is completely stagnant on the content front. They have released Verbal and Math workbooks (the verbal should be avoid), and the Barron’s 6 practice tests (which are ok). Great question! I think I should have been more specific when I said that PR general review gets an honorable mention. From the standpoint of good high-level strategies and content that is sort of like “training wheels” for the GRE, PR is great. So if you are a student who has traditionally struggled with standardized tests and are starting around the 140-level, then TPR is a good book. For that matter the Barron’s is too, but I think the Barron’s is less focused on general strategies and more focused on content (which is slightly more difficult than TPR). But since Barron’s content is better, I originally have it a higher score. If you had to choose one, I think it depends on your level. Either way, I would recommend at some juncture picking up one of the MGRE guides based on the area where you need the most help. That will give you access to their 6 online tests, which are some of the best practice you can get for test day. Thanks so much for your response! when you say MGRE guides, is that the Manhattan prep you are talking about? Or does the M stand for MAGOOSH!? So I’m taking the GRE in two months and I’m kind of freaking out. I’m not a particularly strong standardized test taker but I need really high scores. I feel as though I struggle most with math but I’m not the best at the verbal components either. From these reviews I think I will splurge and get the Manhattan books and use the Magoosh materials as well. Do you think that should be enough to prepare? I think Magoosh and Manhattan should be more than enough, as long as you throw in the Official Guide to the GRE by ETS (this last one contains official questions so you want to make sure to practice with it). With these three resources, you will get plenty of outstanding practice questions, test tips, and guidance. The Magoosh blog is also a great (and free :)) resource to help you navigate the next two months. And whenever you’re “freaking out” don’t hesitate to reach out, and we’ll help you through whichever thorny patch you are dealing with :). I did try the Magoosh trial and i like the content.I want to appear for GRE in a months’s time.I can devote most of my time to studies (free for 3 weeks) .I am reasonably good at quant , my vocab is average. How should I approach the preparation.Shall I give any practice test to get a benchmark ? or shall i give tests only after the basic prep ? I tried few Q from various websites , my accuracy for Q is 65 – 75 % and V is 50 – 60 %.I truly believe in finding 1-2 good resources and sticking to it than going through a lot of books.Any suggestions for any books or material is welcome. I understand the desire to simplify things – you don’t want to become inundated with different study material. The combination of Magoosh and the Official Guide to the GRE by ETS is a powerful coupling. I think benchmarking is a great way to start. Take one of the PowerPrep II tests that is on the CD that comes with the Official Guide. Then take a test every 6-7 days, making sure you review your mistakes afterwards. For a general prep outline, I’d go through the Magoosh lesson videos doing the quizzes at the end, so you can make sure you’ve learned and processed what you’ve seen on the videos. After about three days, you should identify your weaknesses and tailor your sessions with question types you struggle with (this is really easy to do using the Magoosh dashboard). Hopefully this will help you get started. Let me know if you have any questions along the way :). for the starters and medium level questions. As i need to work it from scratch could you please let me know for which book to start after your vocab e-book and word power made easy.And also for the medium-difficult practice questions!! Any suggestions will be added value for me!! Thanks for your continuous support! I like your ambitious plan :). Those are great vocabulary resources. To start off with easy/medium questions, PR’s General Guide and Barron’s General Guide are pretty. You’ll get lots of practice and the vocabulary/questions won’t be too difficult. Hope that helps, and good luck :)! Chris, I have Bob Miller’s Math for the New GRE. Definitely should of read some review on it before I made the purchase. I was great at math in highschool in college but, it’s been quite a while. I’m looking to make exceptionally high on the quantitative section and I’m asking which books would you suggest in order to attain a great score? It seems that MGRE, ETS, and Magoosh are what you are pointing towards? And is there an order in which book you would start with? Thanks for the help bro. I think either Magoosh or MGRE is a great place to start. Both walk you through the beginning stages. Kind of like having a cool, patient tutor by your side. The ETS book, while great practice, is like that teacher who just writes on the board without really turning around to look if anybody is paying attention. But once you’ve built up your skills via Magoosh/MGRE, the ETS book is great. Ewwwww, It turns out when I was in the process of studying a year ago I purchased Princeton Reviews book and used it exclusively… I did better than average but I didn’t do as well as hoped… Perhaps; I should have invested my time in some more pregame appraisal as you suggested. I will say the diagramming in the DVD is absolutely terrible for the Math Section… Trying to explain to myself that an expected “authority” on the GRE had done something dismally wrong and then decided to put it on a DVD for mass publishing gave me a massive tension headache. Thanks for sharing your experience with the DVD portion of PR. I actually haven’t seen this component but it does sound disastrous. Let me know how the materials recon goes this time around. BTW have you checked out our book reviews page yet? I have about 45 days to the GRE, I have completed the MGRE Math books barring the Quant comparison book. I have also completed the Magoosh ebook(English words) and Math questions pertaining to the MGRE books. I haven’t yet started with English and am wondering how to go about it in a smart and successful way. I was thinking of completing the 1000 questions from the MGRE vocab and going through the Magoosh RC, SC videos instead of reading MGRE…do you think that, that would be a smart idea? thanks for your help! I think a good way to prep for vocabulary doesn’t just consist of learning from a list of words. You want to make sure to study words in a creative way and you want to make sure to do questions in parallel. There is also the question of reading in-context, which means you learn words as you read (encountering words in this context can be very powerful when you try to store words in your long term memory). Good luck, and let me know if you have any questions over the next 45 days. I think a good place to start with the GRE is our ebooks. They are filled with useful information on how to get started, including useful study plans (including a 3-month study plan). Hope those are helpful :). I’m so confused inregards to reading from newyork times or a similar source. I have hard time picking articles that have gre level words in it. Is there a better way to do it? I’ve been perusing your book recommendations, and I am curious as to what your opinion is regarding my study choices. I have done very little review, but I feel less confident in the verbal section (as I excelled in high school math, and university stats). I tend to find that I learn best by actually doing questions and such, but I am having difficulty discerning which texts have the best practice tests. My understanding from Magoosh is that ETS is obviously best (but limited number of tests), ETS 10th edition provides some good test-writing experience. Are there any other practice tests that are comparable to the GRE, and worth while writing for their practice? As you can see, I am also at a bit of a loss for the best materials to use to enhance my abilities on the verbal component of the exam (aside from sheer vocabulary increase). What would be ideal are a lot of practice questions that I could focus on ‘mastering’ that are similar to what would be found on the GRE in terms of difficulty, and vocabulary used. My exam date is booked for 6 weeks from now! EEk! That’s a great question – since good verbal practice material is hard to find. Really speaking MGRE and Barron’s 6 on-line tests offer some of what you’ll see test day. I think MGRE 6 on-line tests are the safest bet. Otherwise, the verbal content is pretty mixed (I’d recommend reading the review I wrote on the new MGRE 5 lbs. book – the review should be up today or early tmrw.). That said, give the Magoosh product a try. In terms of the vocabulary you will see, the sentence structure of the SE/TC, and the difficulty of the questions for the reading passage, our verbal segment offers the most for “mastery.” I say this not our of sheer bias but because this is the gist of what many Magoosh users who scored in the upper 160’s on verbal reported in their testimonials. We also offer the mock test option, so you can take practice tests for both math and verbal. As for math, make sure to throw in the ETS stuff too. With the 2nd edition and the online test, ETS offers a total of 4 practice tests (which will be helpful :)). I hope that answered your question, and let me know if there is anything else you need to know :). Good luck on your test! (as is, your study plan above looks solid. You should do well!). Thanks! That pesky ‘it’s’ vs. ‘its’ :). Hey, I am using the Princeton Review Online course. I have so far found it and the practice tests pretty useful. I haven’t seen the PR online questions recently, but from my experience they are generally helpful, esp. as a starter. I would not, however, only rely on these questions. Keep using the official guide, consider trying the MGRE 6 online practice tests, and def. give Magoosh a try. All three of these resources offer the tough-level questions you will likely see test day. Would you also suggest using the Kaplan New GRE Verbal Workbook to study for the new GRE? Would you elaborate why Kaplan Verbal Workout will HURT my score. I mean general Book and Verbal workout must have some differences? Even I am using the Verbal Workbook. As Chris pointed out , TC part is a complete waste of time.RC is good though. Yes, the RC is definitely better. I wouldn’t say it would hurt your score. It’s really the TC and the SE in which you are likely to hurt your score. The why? Well, it lulls you into a fall sense of complacency (the real questions aren’t that easy), words aren’t always used correctly, there are often debatable answer choices, and the sentence structure/writing style is nothing like what you’ll see on the actual test. So what would you recommend as good New GRE Verbal Workbooks? It’s a good question. The problem is most of the “New” books are no different from last year’s editions. Though that’s probably moot, since many of those last year’s edition weren’t very good. The truth is there is a dearth of strong verbal material. What you see above is it, in terms of GRE verbal workbooks. MGRE has released it’s 5lbs. book – review coming out later. That said, this huge book is a mixed bag, in terms of verbal content. For books, stick to ETS as much as possible :).